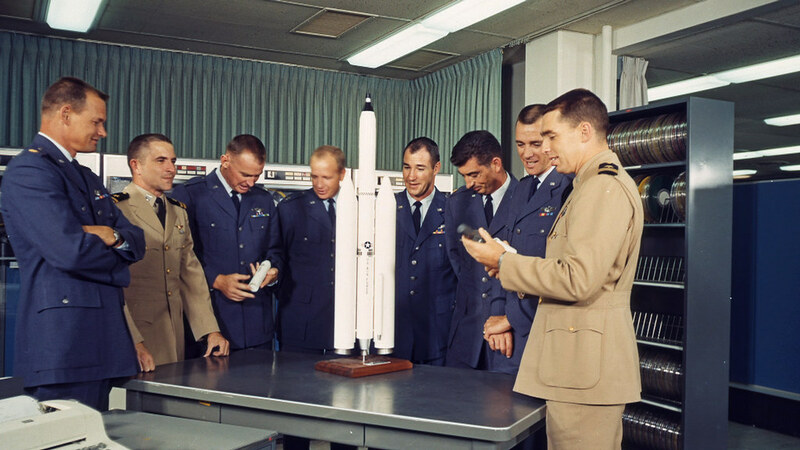 Nova takes a look at a secret space race from 40 years ago. Imagine for a moment orbital space stations that house astronauts and have telescopic lenses not pointed towards the stars, but rather down onto the earth. Maybe some of these space stations have guns mounted to them so as to ward off possible enemy attacks. It may sound a little out there, possibly even like the plot of a James Bond film (in reality it's similar to a couple of James Bond film plots), but the ideas were drawn up during the height of the cold war. The Soviets even launched their gun-mounted space station and managed to take some photos. This week's Nova episode delves into the story of the Soviet and U.S. "astrospies." According to the episode, the United States came up with the plan for their astronaut-spies after processing a roll of film that came back from a camera up in space and rather than seeing Soviet missile sites saw the tops of clouds. The theory was that a person in space would have had the good sense not to photograph the clouds and would have gone on to a secondary or tertiary objective, saving film, time, and energy. The theory sounded solid enough that over 1.5 billion dollars was pledged to it by Lyndon Johnson, and the United States began to develop a "Manned Orbiting Laboratory" (or MOL) which was just a cover story for the real spy games going on. Air force pilots were trained for the job, and they, along with numerous scientists, worked for years at getting the whole thing off the ground. Half a world away, the Soviets were doing the exact same thing. 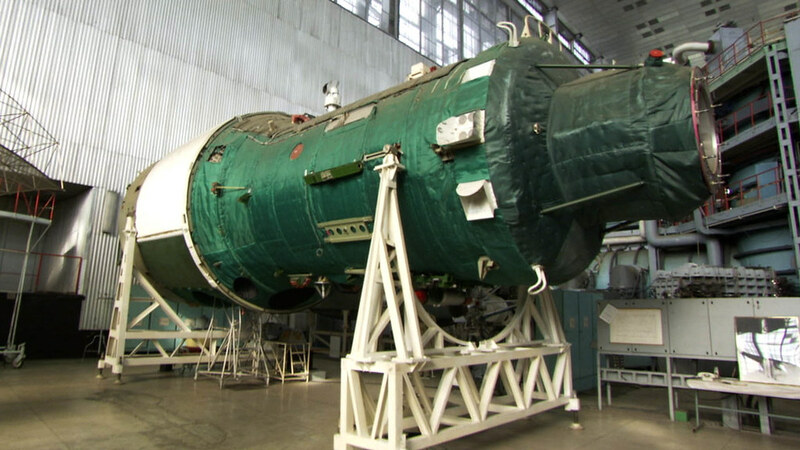 Unlike the United States, the Soviets even managed to launch their space station, Almaz, and sent several different missions up to man the observatory. In classic Nova fashion, the show has found old video footage, stills, and people willing to talk on camera about what exactly took place during this secret space race. It is a truly spectacular, and completely dated, piece of history. The notion of doing such a thing now, as one of the experts points out, is silly — computers and technology have progressed to the point where a man up in space to take photos simply isn't needed. After all, if one's picture doesn't have to be terribly current, there's always Google Maps. As the show is quick to point out, no one knew what the future would bring, and everyone felt that it was better to be safe, and a little more poor, than sorry. The individuals interviewed from the U.S. team seem to not mind in any way that they did not receive the same accolades that their public counterparts did; they believed their work may have been more important and recognized the need for silence. What the episode does not, and cannot possibly (though it would be an interesting exercise), delve into is what our current world would look like if both nations had been successful. What would have happened if cosmonauts on Almaz had shot at a U.S. satellite (the U.S. was looking into the possibility of firing projectiles from space itself)? From start to finish the episode is a wonderful look at an unseen chapter in world history. It makes one wonder what the United States is up to, off the record, today. I guess we'll just have to wait 30 or 40 years to find out. Nova's "Astrospies" airs on Tuesday February 12 at 8pm, but definitely check your local listings to make sure your local affiliate isn't pulling a fast one on you.